EHR Vendor Dispute Causes Denied Access to 4,000 Patient Records | Blue Mountain Data Systems Inc. Many of us have had the embarrassing experience of standing in line to purchase something by credit card, only to hear the words, “Your card’s declined!” Being barred from making the purchase until another day is reasonable. In the case of access to patient records, however, the matter becomes a bit more pressing. In Healthcare Info Security’s recent article, such a dispute between a clinic and an electronics health records (EHR) system vendor took place. Apparently, the clinic stopped making monthly maintenance payments to the EHR vendor. This resulted in the clinic being blocked from accessing 25 years’ worth of patient records—numbering at least 4,000. Not good for anyone involved. According to the article, the parties involved are Full Circle Health Care in Presque Isle, Maine, and CompuGroup, an EHR software provider based in Germany that has U.S. headquarters in Boston. 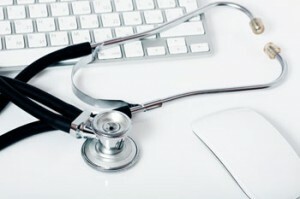 In addition, this matter was addressed at the recent HIPAA conference, and a representative from OCR–the unit of the Department of Health and Human Services that enforces HIPAA–reported that the agency is aware of this dispute. Is there a breach of the HIPAA Security Rule? That remains to be seen, and the matter is under investigation. “BAs [business associates] need to ensure availability to EHR data,” said Iliana Peters, senior adviser for HIPAA compliance and enforcement at OCR, who did not comment further on the specifics of the dispute. OCR did not respond to a follow-up request for further comment on whether a business associate withholding a covered entity’s access to secure health data of the covered entities’ patients could constitute a potential violation of HIPAA. For more information on this dispute, read the full Healthcare Info Security article here.